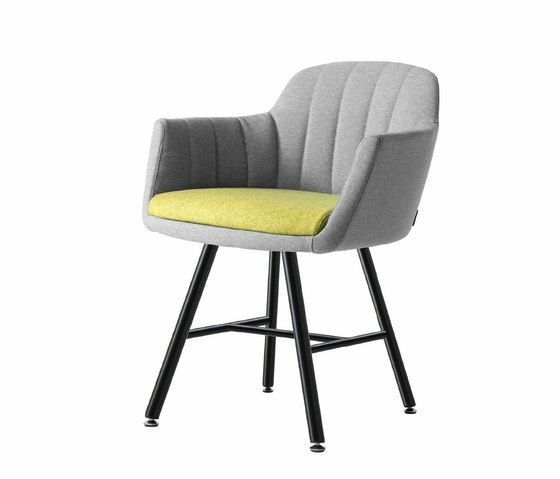 Vittoria is the ideal chair for restaurant, bar, hotel and waiting rooms. It is the synthesis between classic and contemporary, the soft and elegant lines are enhanced by a wide range of colors and finishes. The welcoming shape, vertical and parallel stitching, a wide and comfortable cushion also available in a different finish from the seat, the possibility to have 4 races base or with castors, make Vittoria a versatile and ideal in every environment.